In the beginning of the book, Stephanie is faced with a difficult decision: pursue a Fulbright scholarship in Damascus—an utterly foreign place—or stay in Cambridge, where she is comfortable with a man she loves, but who doesn’t love her in the same way. Have you ever been confronted with a dilemma like hers? How have you resolved or coped with it? Looking back on it, would you have done anything differently? When Stephanie arrives in Syria, she is faced with many intimidating challenges, such as learning Arabic through the “vocabulary of war” and navigating a culture that often clashes with her own experiences. How well do you think she handles these obstacles? If you were in her place, how would you have reacted? Could she have done things differently? The narrative paints a fascinating portrait of Damascus, a city of paradoxes, where members of opposing faiths, ideologies, and cultures live side-by-side peacefully—and frequently under the threat of war. What do you think it would be like to live in a society like that? How do you think you would approach the demands and daily interactions of your life if you lived in a place like Damascus? A major theme in the book is the individual quest to find God. This search for faith can be carried out in many ways. What is your opinion of how Stephanie pursued this? Reflecting on your own situation, have you experienced a similar search for meaning or significance in something in your life? How have you pursued that? Multiple characters reveal that they draw on aspects of different cultures, traditions, and religions to form their own beliefs and decisions. What factors, if any, do you think have influenced your outlook, actions and beliefs? Out of the many people Stephanie meets on the streets of Damascus and in the monastery, who is your favorite and why? What qualities or characteristics do you like and/or dislike about this character? What do you think they exemplify about Stephanie’s struggle and life in the Middle East? Stephanie refers to her lessons on the Quran as “lessons in humility.” What about studying the Quran is so difficult for her? What does she learn about herself and her own faith through this experience? Have you ever had a similar experience in which you understood some new aspect of yourself only by confronting someone or something very different? In the monastery, the mosque, and in Damascus, Stephanie meets some incredible women. How did they influence and challenge her? What surprised you most about their lives? While Stephanie is struggling in the aftermath of the Spiritual Exercises, Frédéric tells her: “You don’t believe in resurrection.” What do you think he means? Does Stephanie succeed in finding resurrection by the end of her journey? At one point in her journey, Stephanie prays that she might learn how to be a “novice in love.” What did you think of that request? By the end of her journey, who and what are some of the things she has learned how to love that she couldn’t before? 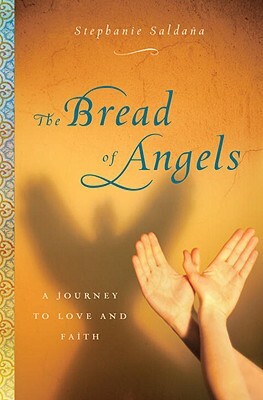 The ending of The Bread of Angels is open, leaving the reader to imagine what happens next. What do you think happens?